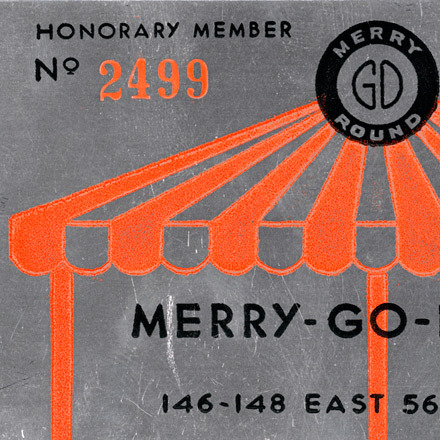 The Manuscripts and Ephemera Collection documents the day-to-day life of New Yorkers over the past 300 years. The collection spans the mid-17th century to the present, and is strongest in the mid to late-19th century to the early 20th century. 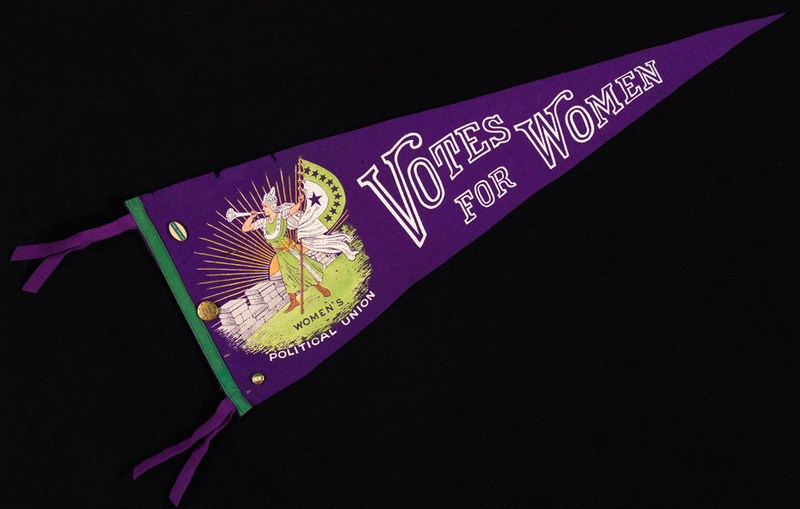 The ephemera comprise a variety of formats, including print materials such as menus, invitations, pamphlets, and handbills; textiles such as pennants, sashes, and scarves; and three-dimensional artifacts such as badges, buttons, and promotional items. 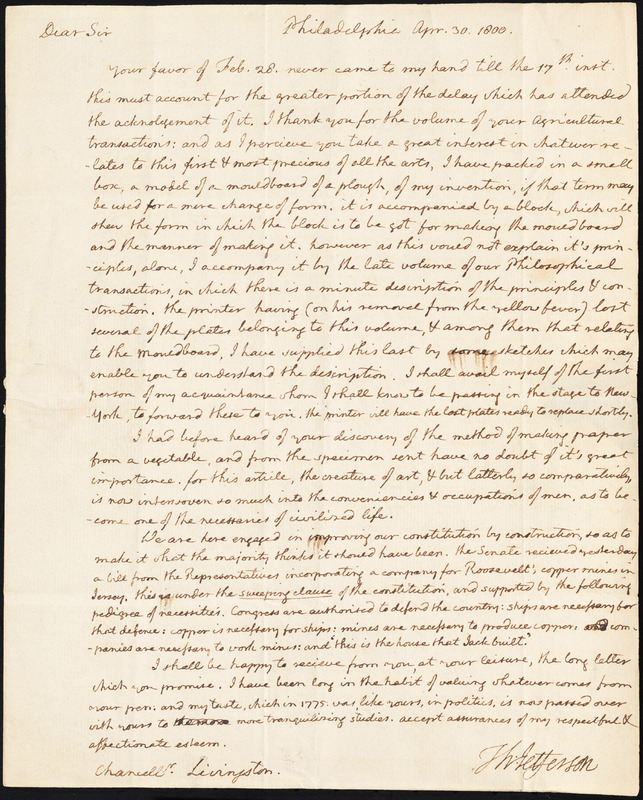 The manuscript collection includes papers of influential New Yorkers and their families, letters, and documents related to real estate, commerce, and citizenship. The Manuscripts and Ephemera collection also includes the Museum’s map collection, which is geographically centered on New York City and the surrounding area, and dates from the 17th to the 20th centuries. The maps range in variety from street and transit maps, maps of city parks, land auction maps, and topographical maps. The materials touch on nearly every aspect of life in New York, from education, industry, and entertainment to politics and activism. The collections are particularly strong in the following areas: New York City infrastructure such as roads, tunnels, and bridges, rail and subway transportation, parks, and public health; civic events and celebrations, including parades, dedications, openings, and anniversaries; social life, such as night life and New York’s numerous clubs and societies; and commerce, including a collection of trade cards and advertisements, and ephemera related to ships and shipping. Trade cards were a popular form of advertising during the 18th and 19th centuries. This card features an image of the B.M. Cowperthwait & Co. furniture store located on Chatham Street, now known as Park Row, in lower Manhattan. The Collection on Advertising contains approximately 1,500 trade cards, along with other advertisements from the 19th and 20th centuries. Image credit: B.M. 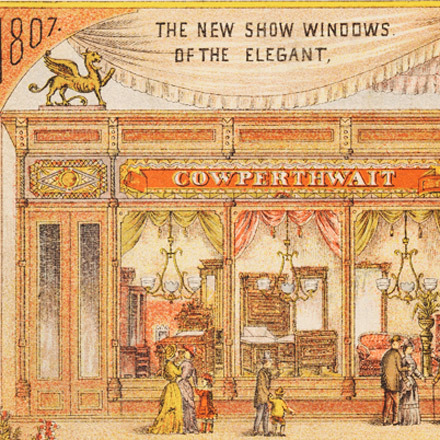 Cowperthwait & Co. trade card, 1882. Museum of the City of New York, 38.199.13. Image credit: Thomas Jefferson (1743-1826). 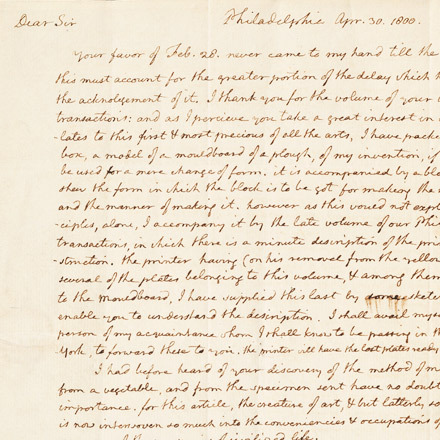 [Letter to Chancellor Robert R. Livingston from Thomas Jefferson, April 30, 1800], 1800. Museum of the City of New York, 47.173.248. 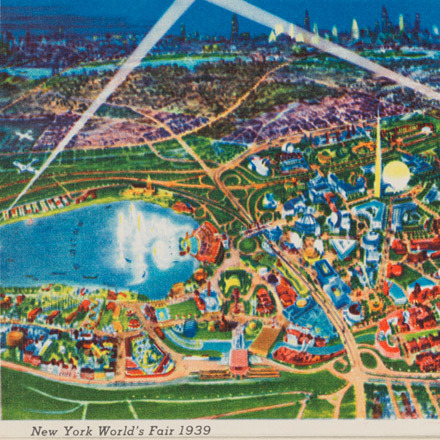 Souvenir postcard from the 1939-1940 New York World’s Fair held in Flushing Meadows, Queens. The 1939-1940 fair was the first of its kind to be based on the idea of the future, and attracted over 44 million visitors. 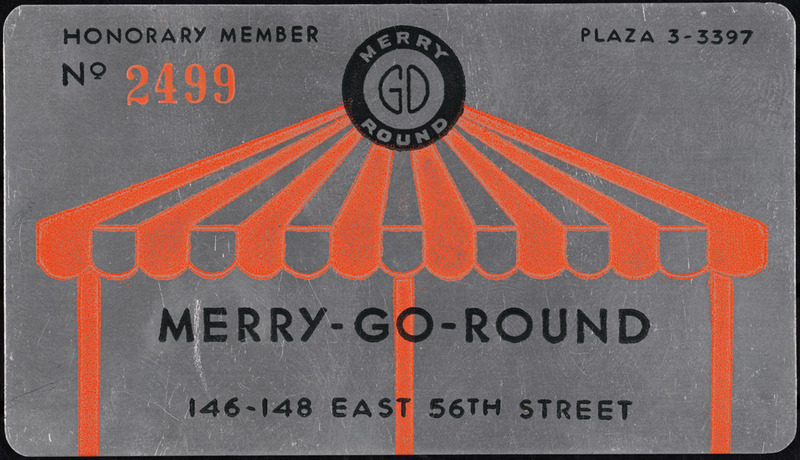 The Manuscripts and Ephemera collection contains thousands of postcards related to New York City and its attractions. Image credit: Grinnell Lithographic Company. 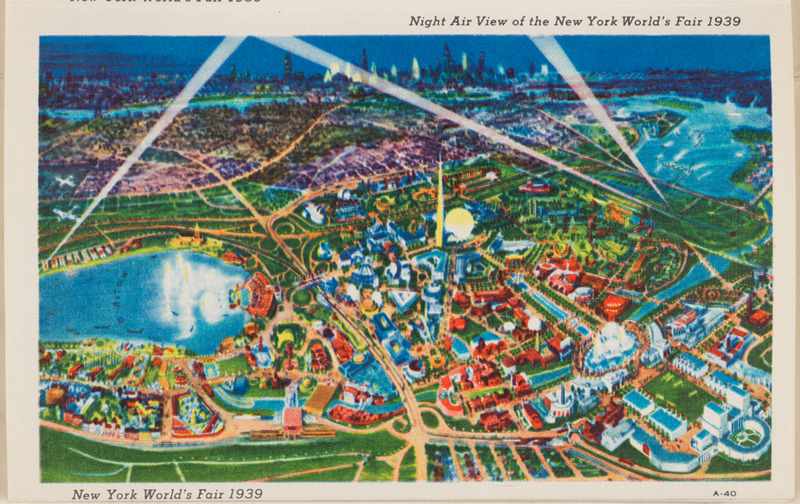 Night Air View of the New York World’s Fair 1939, 1939. Museum of the City of New York, 88.63.116D. 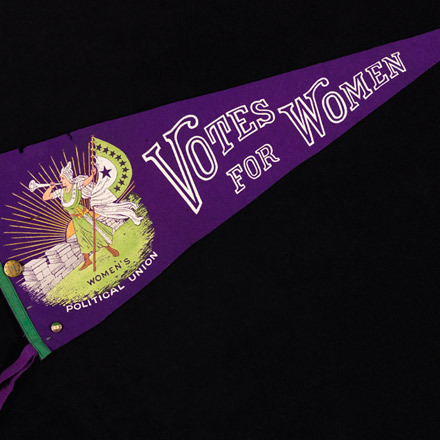 Pennant advocating “Votes for Women” and the New York City-based Women’s Political Union, created around the time of the Nineteenth Amendment. These badges were held by Robert Moses during his lengthy tenure as “master builder” of New York City during the mid-20th century. Moses left his mark on the city through vital infrastructure projects such as the Triborough and Verrazano bridges, the Henry Hudson Parkway, and Lincoln Center. 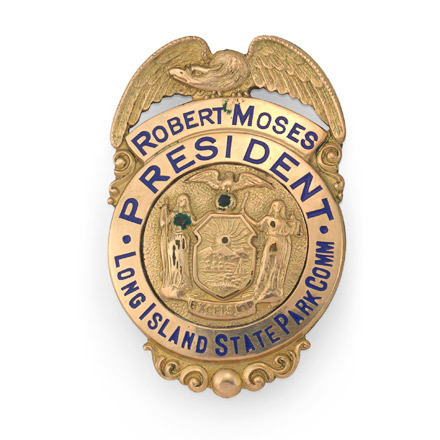 These three badges represent his roles as President of the Long Island State Park Commission, Chairman of the Triborough Bridge Authority, and Commissioner of the Department of Parks of the City of New York. Image credit: Long Island State Park. Robert Moses, President, ca, 1924-1953. Museum of the City of New York, 94.64.7C.